If an officer stops a vehicle and suspects the driver is under the influence of alcohol or drugs, the officer can ask the driver to take a chemical test. Often times the chemical test is a breath test, but it also could be a blood or urine sample. In Florida, drivers have the right to refuse the test, but there could be criminal and civil penalties for doing so. This is known as a refusal to submit to a chemical test after a DUI arrest. The team of dedicated Florida Panhandle criminal defense attorneys at Pumphrey Law can help if you have refused a chemical test after a DUI arrest. You may feel like you do not have any options, but the attorneys at Pumphrey Law will work to ensure your rights are represented. Pumphrey Law is located in Tallahassee. They represent clients throughout Leon County and the surrounding areas of North Florida’s Big Bend region, including Crawfordville in Wakulla County, Quincy in Gadsden County, Monticello in Jefferson County and Bristol in Liberty County. Call (850) 681-7777 to schedule a free case evaluation. What Happens After a Chemical Test Refusal? What Counts as a “Refusal to Submit” in a DUI Case? When an officer makes a DUI arrest, he or she will ask the suspect to submit to a chemical test of breath, blood or urine. In the vast majority of misdemeanor cases, the officer suspects alcohol impairment and therefore will ask the suspect to submit to a breath test on the Intoxilyzer 8000. If the breath test reading is less than 0.08, the legal limit, the officer may be permitted to request a urine test, given certain conditions. In DUI cases involving a vehicle crash or when the suspect is taken to the hospital, making a breath test impossible, the arresting officer may be able to request a blood test. Under any of these circumstances, if the suspect refuses, the arresting officer is required to read the suspect his “Implied Consent” warnings. Florida is an implied consent state, which means any time a driver gets behind the wheel in the Sunshine State, it is implied he or she gives consent to a chemical test if stopped for a DUI. If the suspect continues to refuse the chemical testing of his breath, blood or urine, then the officer will arrest the suspect for “DUI Refusal BAC.” Important defenses exist in any DUI refusal case, which is often the most difficult for the State Attorney’s Office in the Second Judicial Circuit to successfully prosecute. If the officer alleges that the subject refused to submit to the chemical test of his breath, urine or blood, the officer must also be able to prove this refusal occurred after the officer read the subject Florida’s Implied Consent Warnings, under Florida Statute Section 316.1932(1)(a). The implied consent warnings in Florida advice the subject of the consequences of his or her Florida driving privileges if he or she refuses. It also gives the subject a chance to change his mind. The implied consent warnings, by their very nature, are considered to be coercive. The benefit to refusing to submit to a chemical test is that the prosecutor cannot use the most persuasive piece of evidence against the driver, which is a breath test reading over the legal limit of 0.08 or a blood or urine test reading showing the presence of drugs. Instead, the prosecutor with the State Attorney’s Office must rely totally on the officer’s subjective observations of the driver’s performance on field sobriety exercises. In refusal cases it is particularly important to question the officer about every observation made, no matter how trivial. In many cases, the evidence is contradicted by videotape evidence showing the driver’s actual performance. When no video was taken, those subjective observations are not always enough for the prosecutor to prove the case to a jury beyond all reasonable doubt. In most cases, the officer simply asks the suspect to take the breath, blood or urine test and the suspect says, “No.” However, Florida law may permit the case to be prosecuted as a refusal under other circumstances as well. For example, the officer may allege a refusal occurred if the suspect agrees to take the breath test but then is unable to provide two sufficient sample of breath during the time permitted, often called the “machine refusal.” If the suspect blows into the machine once but then refuses to provide a second sample, an officer also may say it was a refusal. In a few cases, the officer may allege a refusal occurred if the subject provided two samples that are not in 0.02 agreement, but then the suspect refuses to provide a third sample. The faulty results are a flag that the sample is not accurate or reliable. Be aware important defense exist when an insufficient sample constitutes the “refusal,” including the fact that certain Intoxilyzer 8000 machines may have problems with the flow sensor or other equipment that makes providing a sufficient sample difficult. Your attorney can also look at all the results from the other suspects who took the test on that particular machine either before or after for clues about issues with the device. When you are looking at hundreds of samples, you also can see difficulties with certain machines. The arresting officer also may allege a refusal if you refuse to answer either “yes” or “no” after the officer asks you to submit to a chemical test. However, the officer must usually ask the question until he or she gets a clear answer. If a driver becomes abusive or argumentative, it could be argued as a refusal. Each law enforcement agency throughout Leon County and the rest of North Florida has its own procedures and policies for administering the breath test or determining when a blood or urine test might be appropriate. It is important to consult a criminal lawyer in Tallahassee who has experience dealing with local law enforcement agencies and understands the procedures. The prosecutor often will use the subject’s driving record from the Florida Department of Highway Safety and Motor Vehicles (DHSMV) to prove the prior refusal. However, if the officer did not follow the proper procedure, a skilled criminal defense lawyer in Tallahassee could work to have your charges reduced or dropped. Florida law gives residents and out-of-state drivers the right to refuse a chemical test. However, there could be consequences, including his or her driver’s license being suspended by the Florida Department of Highway Safety and Motor Vehicles. The driver’s license suspension will last for a year for a first offense, and 18 months for a second or subsequent offenses. It is a crime to refuse to submit to testing a second time. Under Section 316.1939 of the Florida Statutes, the prosecutor can charge the driver with a separate crime for the refusal if the driver has previously refused to submit to a chemical test after a DUI arrest. The second refusal can be charged as a first-degree misdemeanor punishable by a $1,000 fine and up to 12 months in county jail. If the driver of a commercial vehicle is convicted of a refusal to take the chemical test after a commercial motor vehicle DUI, the driver is disqualified from driving a commercial motor vehicle for one year. During that time, no hardship license is available. After the full year suspension, the driver must pay a reinstatement fee for the disqualification in order to reinstate the commercial driver’s license. If the commercial driver was transporting hazardous materials when convicted, then a three-year disqualification period will be imposed. After the arresting officer alleges you refused to submit to a chemical test of your breath, urine or blood, seek the services of an experienced and knowledgeable Tallahassee lawyer for DUI to fight your case in Leon County the surrounding areas. Your rights are important, and the team of attorneys at Pumphrey Law will fight to protect them. 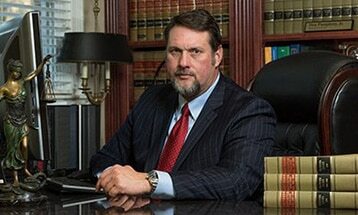 Call (850) 681-7777 for a free legal consultation.